Aids for daily living provide safety and independence in performing daily activities. If you don’t see a product you are looking for, don’t hesitate to contact us. Our comprehensive catalog of items allows us to find any product that fits your needs. Safely retrieve items from a shelf, cabinet, table or floor with the use of a reacher. The grabber tool allows you to be more self-sufficient and reduces the risk of falling from a stepstool or ladder. Reachers come in various lengths, with the most common sizes being 20″ and 32″. The handle squeezes for an easy grip and is ergonomically comfortable for anyone with small hands or a weak grip. Sock and button aids help in dressing when loss of hand or finger dexterity and strength make the task more difficult. A sock aid keeps the sock open so you can slide your foot in without any tugging, pulling, or bending down. A button aid pulls buttons through shirt or pant holes for people with decreased finger dexterity. Ease in your heel into virtually any shoe from any angle without having to bend over with the use of a shoe horn. Slip your feet in without crushing the back of the shoe or bruising your heels. After having hip surgery, bending, twisting, and pivoting become more difficult and can affect the progress of recovery. Our hip kit contains all of the products necessary to have a smooth recovery including: bath sponge, sock aid, 26″ reacher, and a shoe horn. Shower caps are designed to shampoo and condition all in one step without the mess or having to submerge in water – perfect for someone post-surgery or with a cast. A shampoo tray makes washing and rinsing hair in a seated position easier for those who have a harder time tilting their neck back. The shape fits the neck and shoulders so you don’t have to bend backwards into the sinkduring washing. 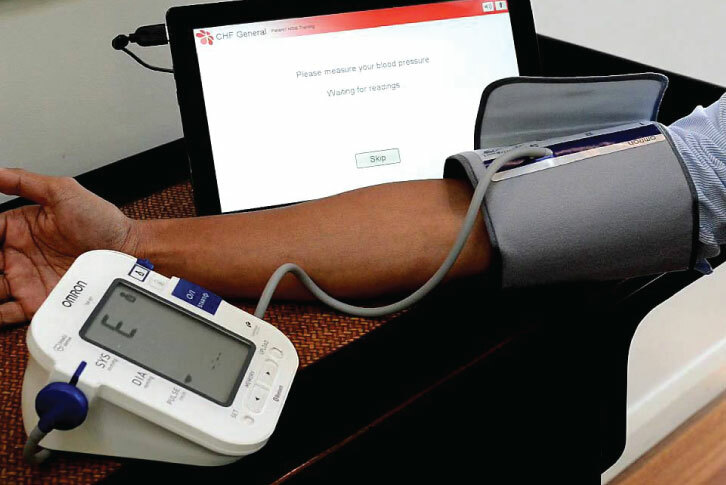 Monitor hypertension with blood pressure monitors that are highly accurate and detect irregular heartbeats. Cuffs can be placed on the upper arm and are easy to use with the simple Start/Stop button and LED screen. The Med-E-Lert automatic locking pill dispenser can dispense medication up to six times per day with reminder alarms. It is completely portable and has 28 compartment trays that hold up to 18 pills per compartment. The tamper-proof locking system makes for simple medication compliance and reduces the likelihood of tampering or medication theft. Sitting up and transferring out of bed is made easier with a bed cane or Smart Rail. The cane/rail provides support for making adjustments while in bed or assistance transferring to a standing or sitting position. Insurance coverage should always be verified with one of Rice Home Medical’s customer service representatives. Some insurances may cover aids for daily living. Eligibility can vary by policy plan.